The Le Col Sport Winter Jacket delivers excellent wind protection and good attention to detail, but not quite the perfection we’ve come to expect from the West London company. Yanto Barker has been a busy man this winter. Alongside setting up the new One Pro Cycling team, he’s been helping to design the new Le Col Sport Winter Jacket, and from what we’ve experienced, doing a pretty good job! 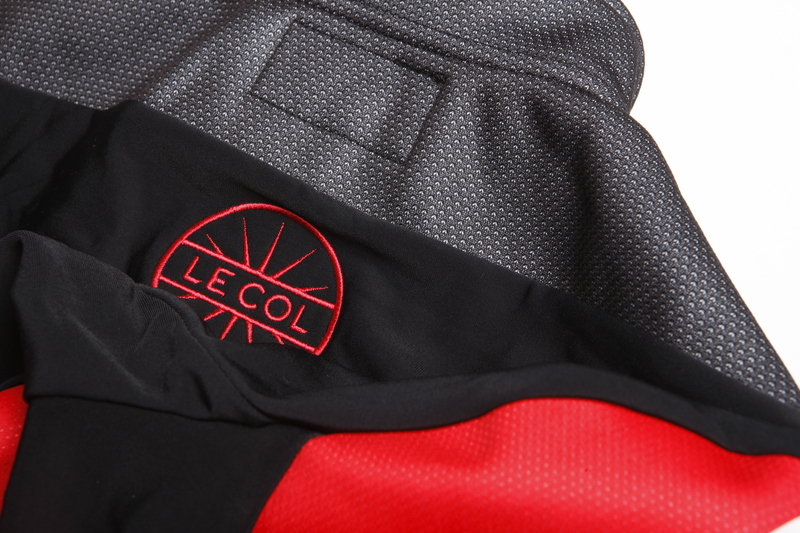 No winter jacket worth its salt would be complete without a decent helping of Windstopper fabric, and Le Col’s offering is no different. Effectively anything red you see in the pictures (as well as the black around the neck and shoulders) is pretty much impermeable to the wind, as well as providing enough water resistance to keep us dry from road spray flicked up from rear wheels. According to the company’s website, the Le Col Sport Winter Jacket is suitable for use between 5ºC and 18ºC. Maybe our tester is just made of sterner stuff than your average Le Col customer, but, with only a base layer and light jersey underneath, we didn’t feel the chill even on long rides with the mercury firmly rooted just below freezing. (If you do feel the cold then Le Col also a more advanced winter jacket which is apparently capable of dealing with temperatures as low as -10ºC!). Thankfully thermal protection doesn’t come at the expense of breathability, and we were largely very comfortable in this jacket even while working hard in the hills. Admittedly things got a little sticky once the thermometer began to show double figures, and we can’t see this jacket being very comfortable at 18ºC, but this was easily solved with a pull on the sturdy full-length zip. With the Le Col Sport Winter Jacket promising a “tailored fit” it was no surprise that this was a very comfortable jacket. 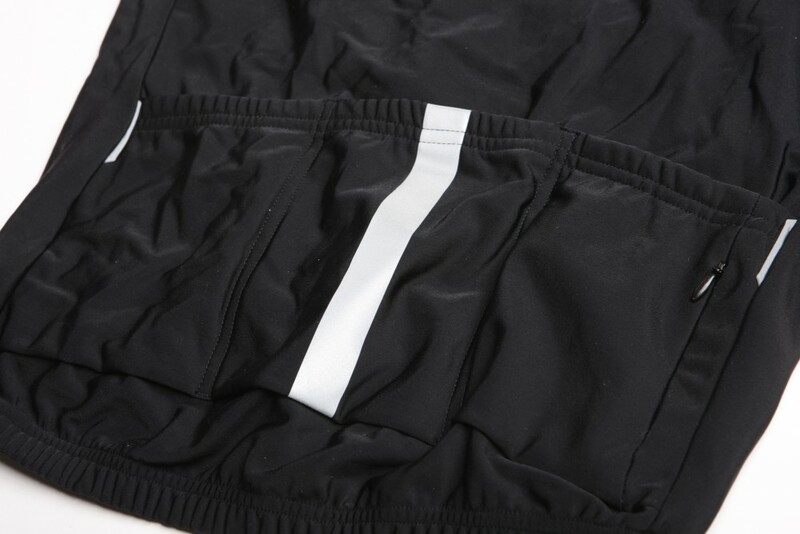 There were no baggy areas and this jacket certainly wasn’t causing the same amount of aerodynamic drag as other cheaper offerings, and with seven different sizes and different cuts for men and women, this should be the same for everyone. Three rear pockets should be a basic expectation on any decent jacket, but Le Col go far beyond this. Not only are the three rear pockets a very good size and exceptionally easy to access in heavy winter gloves, but extra storage is also provided in the form of a small, waterproof security pocket on the back right of the jacket which is the perfect size for storing your smartphone, and another zipped pocket on the inside of the left breast. The only real problem we experienced with the Le Col Sport Winter Jacket was the fact that despite the generally excellent fit, the rear hem consistently rode up, possibly due to the lack of silicon grippers. Admittedly this was more of an annoyance than an inconvenience, but in a top-end jacket with otherwise very good attention to detail, we would hope for better. The Le Col Sport Winter Jacket is a lovely piece of clothing that will keep you looking good and feeling warm on long winter rides, but the constant riding up at the rear was an annoyance.